After attending my nephew’s guest performance at the 13th world Chinese book fair 2011 at Mines International Trade Centre (MIECC), we’d thought of having lunch at the neighboring mall, The Mines only to discover that most of the eateries were packed to the brim with diners and long queues awaits other eateries. Sigh, this is a common scene at a shopping mall on a public holiday! Instead of waiting on hungry stomachs, we opted for Leong Ya, the famous Hakka yong tau foo within the area. Leong Ya, the founder used to work in the mines and upon retiring, he set up a small stall selling yong tau foo and paper wrapped chicken to the mine workers. Food was so good that soon business started to pick up. The humble stall expanded with many more tables and chairs with a lowly erected zinc roofing with water sprinklers! 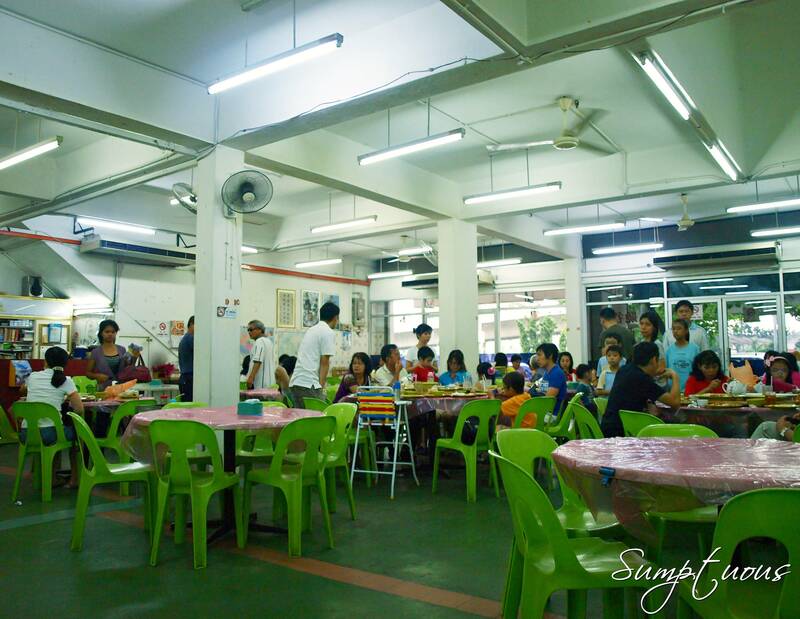 No one complained dining under the hot roof and none minded waiting for tables even on weekdays. LY soon became a household name among the people from near and far. To make way for development, they had to relocate and were given a corner shop in exchange for the land which is now called the Mines Wonderland. After LY passed away, his wife took charge of business with the help of their ever committed children. Business grew even better that lead to some family feud resulting in the splitting of business. 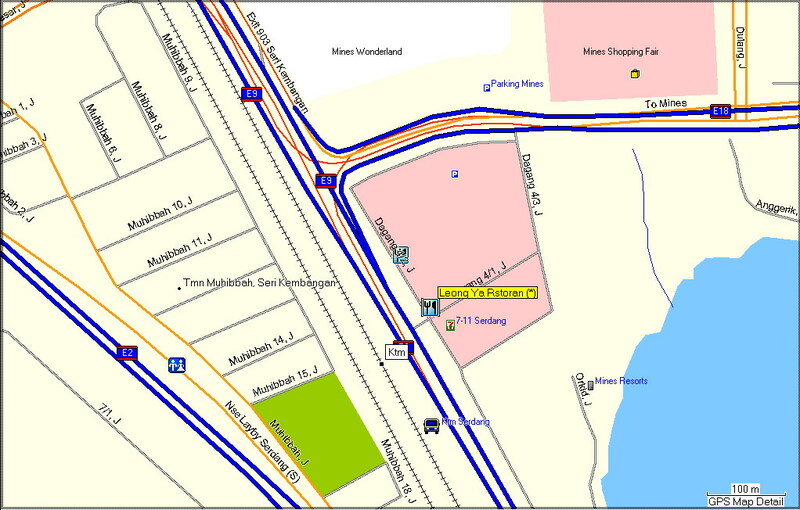 Now there are 3 LY restaurants operating in the same vicinity, so near to each other it’s merely a stone throw away! I’ve tried the ones run by the matriarch and the daughter respectively but I still prefer this outlet operated by the son which incidentally is the only one that’s air-conditioned. No frills setup and they still use the same ol’ plastic sheets which I’ve first seen at his daddy’s stall more than 30 years ago! How I reminisce those childhood days! Paper wrapped chicken (纸包鸡/一块) @ RM 2.80/pc ~ First to be served was this ever famous, must order “ji bao gai”. The version served in this outlet certainly look better, well at least with its grease paper still in good condition, instead of charred burnt! Delicacy unfold…This is something that is gonna get your fingers oily and definitely not the easiest thing to unwrap, but once you get past that little hurdle, a strong whiff of rich and appetizing aroma burst from within. The taste of ginger was strong and the tender meat was soaked in the generous amount of gravy. Certainly a “must order”! Yong tau foo (釀豆腐/一块) @ RM 1.10/pc ~ We ordered 20 pieces in total which consisted of 3pcs of eggplant (茄子), 4pcs of yuba rolls (腐竹卷), 3pcs of okra, 2pcs of red chilies, 4pcs of fried fishballs (炸鱼蛋), 2pcs of beancurd (白豆腐) and 2pcs of beancurd puffs. Verdict? Eggplant was good, yuba rolls was crispy but sadly lacked of fillings, okra and red chilli suffered the same fate. Fishball wasn’t springy and bland and the worst was the white beancurd. Tasted sourish with a “spoilt” texture and the saving grace was only the bean curd puffs. The puffs were fluffy even after absorbing the finely tuned gravy and burst into flavors after the first bite. I was rather disappointed to get something like this as I was expecting more out of a famous YTF joint. 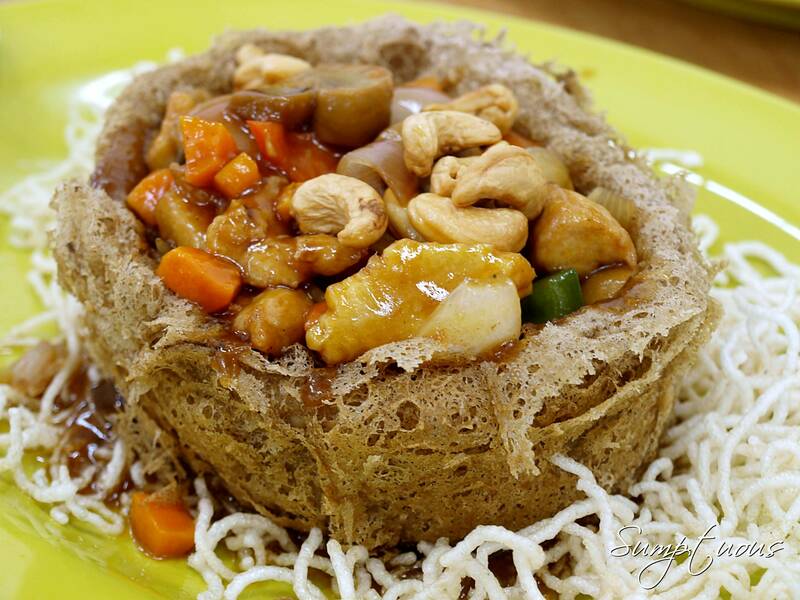 Buddha’s Yam Ring (佛钵) @ RM 16.00 ~ This was again mediocre but the stuffings were generous. Cashew nuts, diced chicken, diced carrots, button mushrooms and capsicums were decently cooked and tucked into the crispy yam basket. 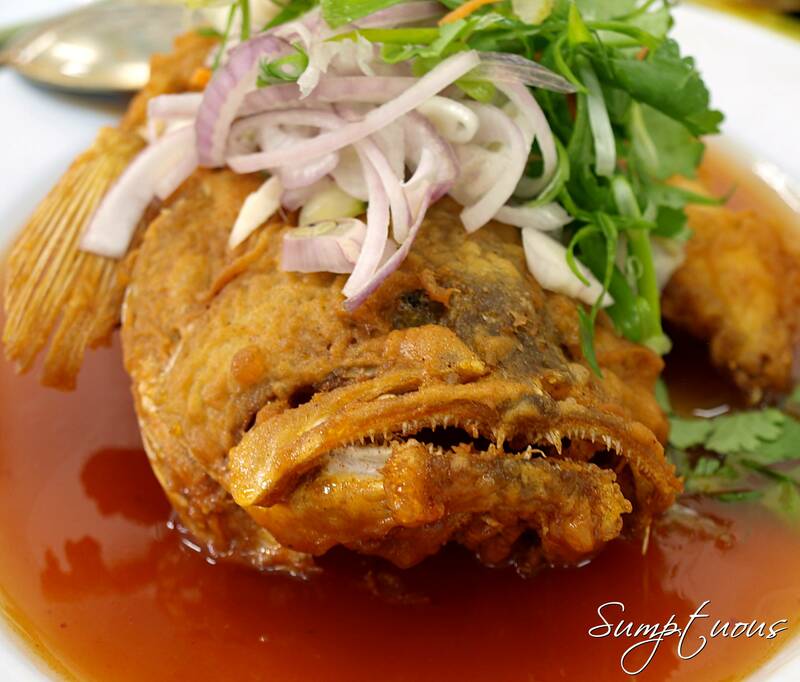 Braised grouper in sweet & sour sauce (红烧甜酸石斑鱼) @ RM 28.00 ~ I hardly order deep fried fish as I prefer steamed ones in order to taste the freshness of it. As this was one of dad’s favorite whenever he visited LY those days, I thought we should try it to see why he liked it so much. It was a right choice as the grouper was carefully deep fried and then coated with sauce creating a crispy skin while maintaining the moist on the dense and flaky meat. The fine and smooth gravy tops it all! Now I know why pops was so fond of this dish! Great! Fried chicken (炸鸡/一块) @ RM 2.80/pc ~ If you think that the paper wrapped chicken is a must when you come to LY, you need to have that perception changed. For me, this was the “star” of our lunch and definitely the “MUST ORDER” for me when I come here again. If it’s not for B-I-L, I wouldn’t have thought to order this. We “unearthed” a gem by chance! 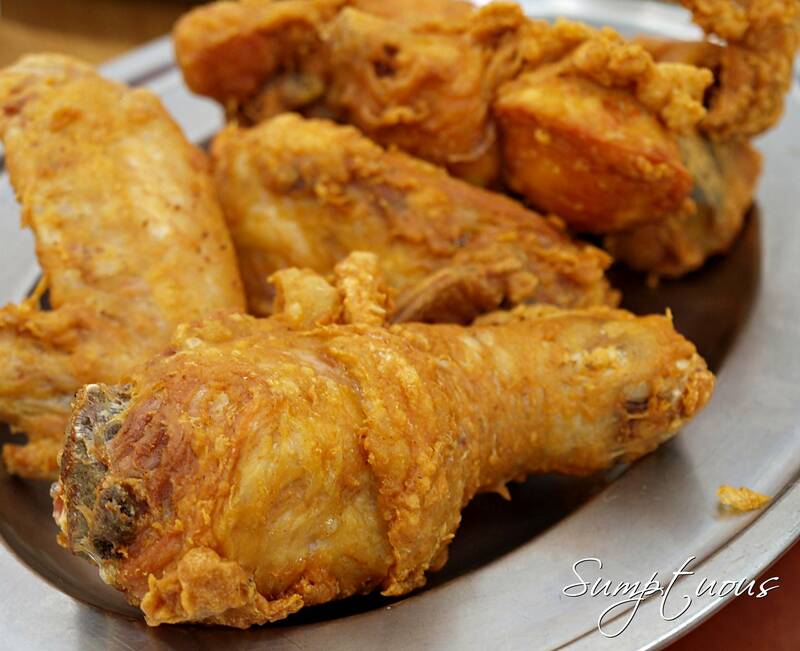 The fried chicken was perfectly marinated, flavorful with a tinge of curry powder. A bite into the crackling crispy skin with its succulent meat was just heavenly. It’s not at all oily and certainly worth every penny! The LY fried chicken certainly put giants like KFC to shame! Must try! Stir-fry French beans (清炒鬼豆苗) @ RM 12.00 ~ Lastly, we needed some fibre to balance off the heavy consumption of protein. They have a wide variety of greens but all of us, including the kids favor this Haricot Verts which has a crunchy texture. Stir-fried in the simplest manner yet producing a good plate baby green bean full of wok-hei! This lovely lunch totaled @ RM 133.80 (6a/4c), which was nothing but fair including 9 plain rice (RM 9.90), 2 herbal tea, 1 Coke (RM 6.30). Even though the signature YTF fell short of satisfaction, we did enjoy the rest of the dishes. I’ll certainly come back to try the Hakka favorites like the stewed pork with black fungus (炸猪肉), wild boar curry (咖哩山豬肉) and most certainly the fried chicken! 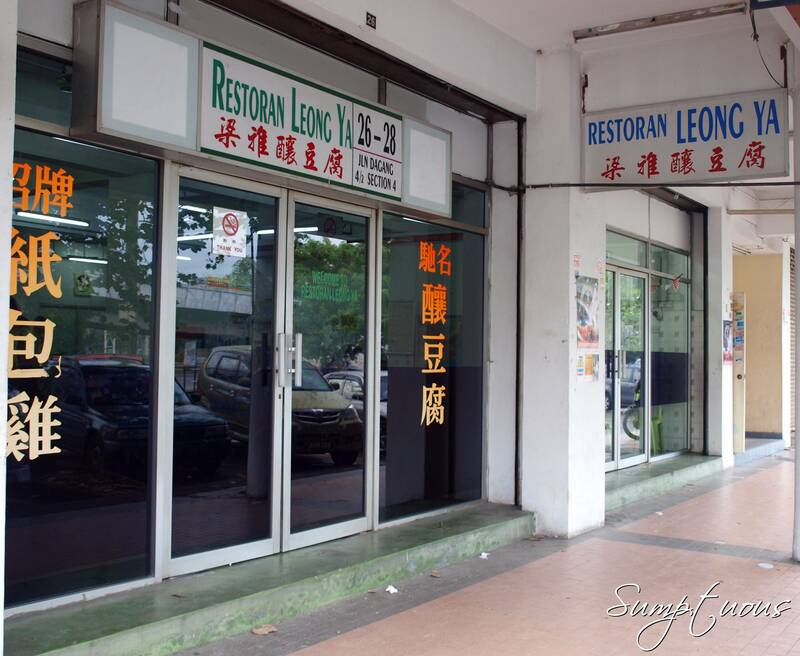 This entry was posted in Assam Fish Head, Balakong, Chinese, Chu Char, Fried Chicken, Hakka, Seafood, Seri Kembangan, Yong Tau Foo. Bookmark the permalink. Generous ma so you guys can “lou fan” (mixed with rice) and eat! Fried chicken! Wow! G’bye KFC, for sure! Too bad the YTF fell short! Pics makes me hungry!